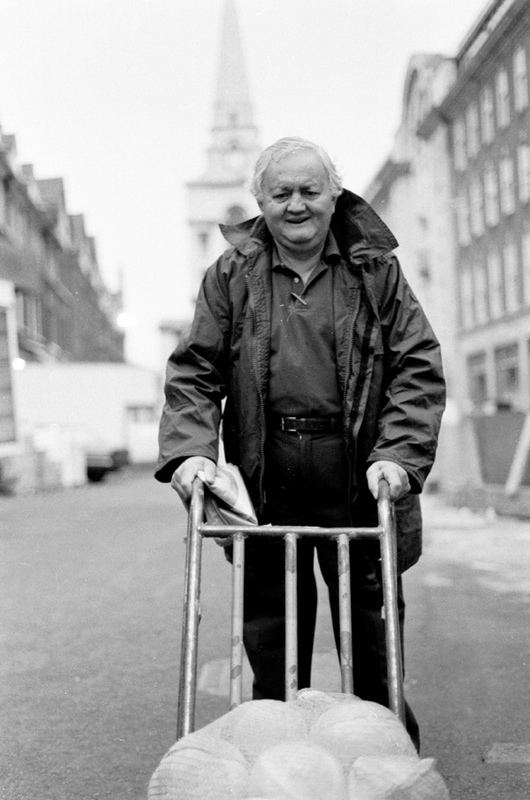 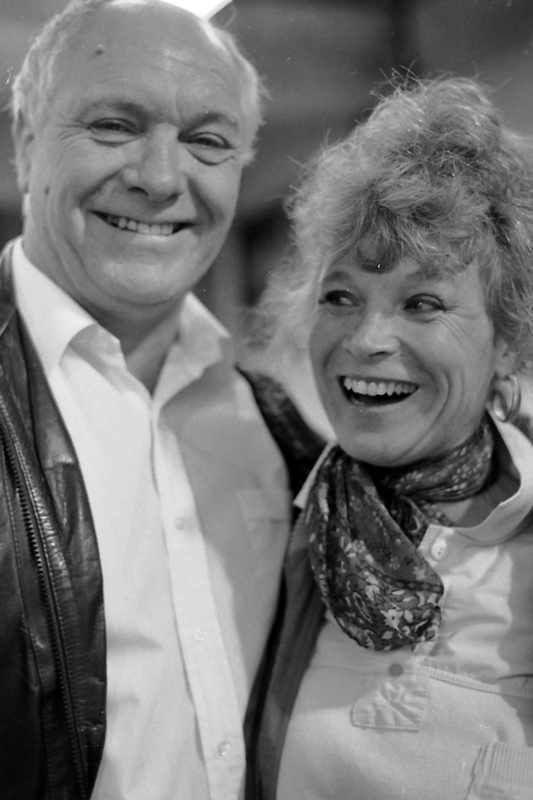 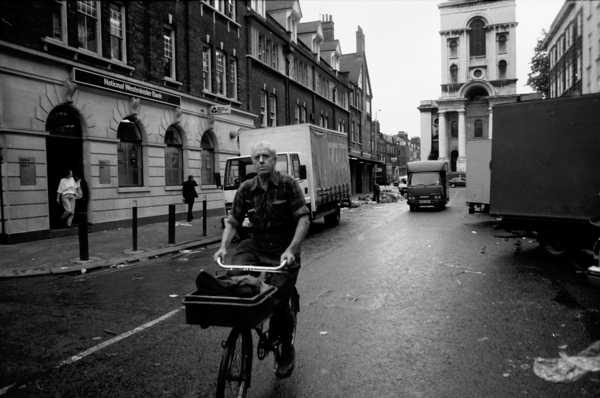 Since 1981, when he moved to London from Liverpool, Phil Maxwell has been taking pictures daily on Brick Lane, creating an unparalleled canon of photography that records the changing face of Spitalfields over the last thirty years. 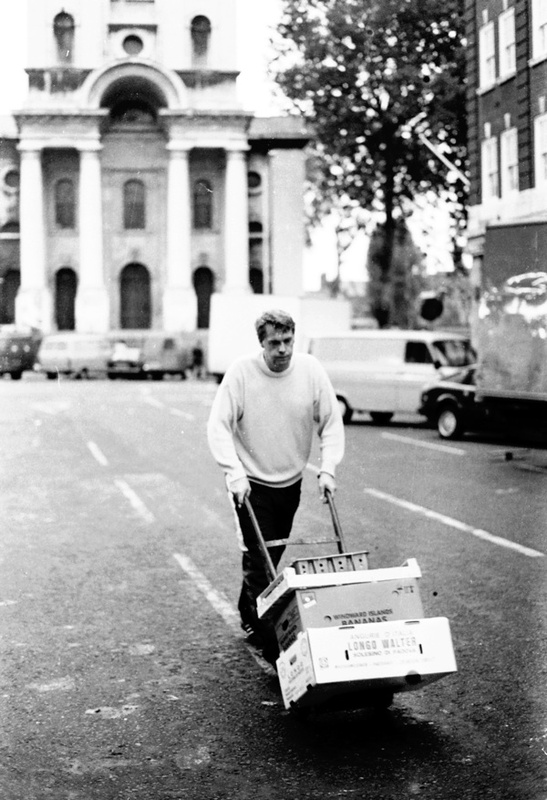 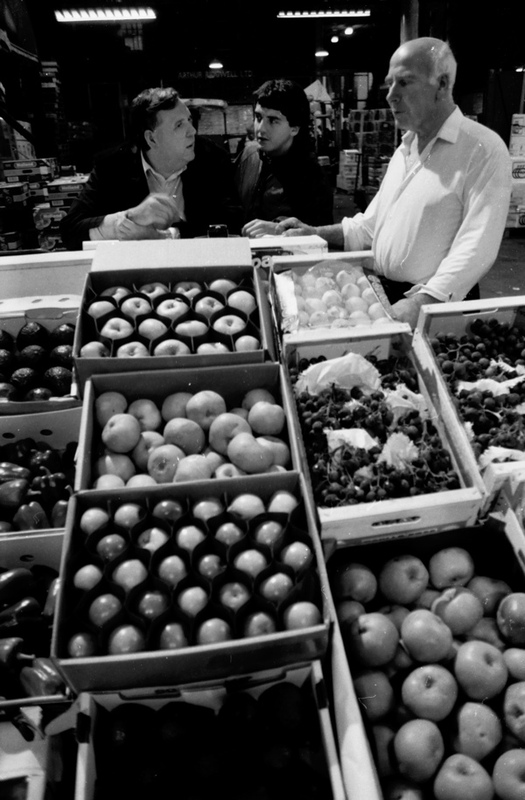 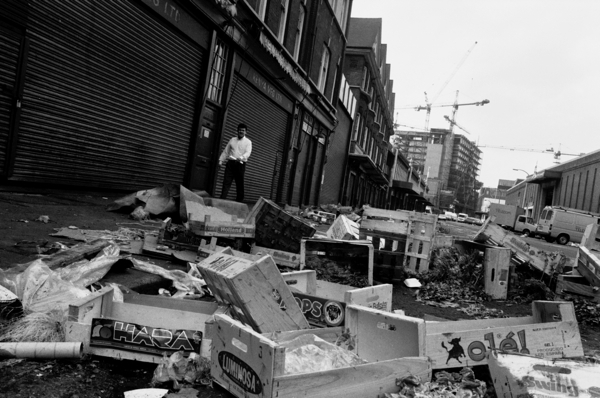 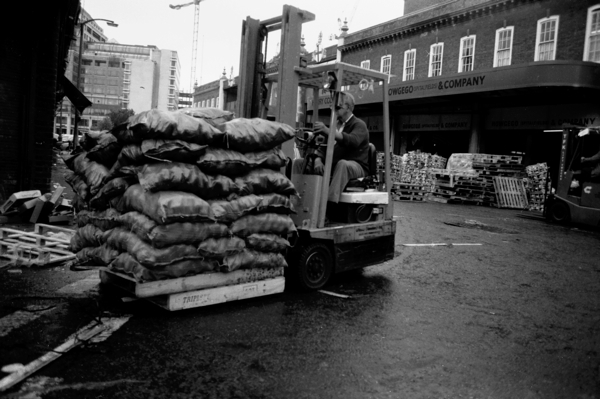 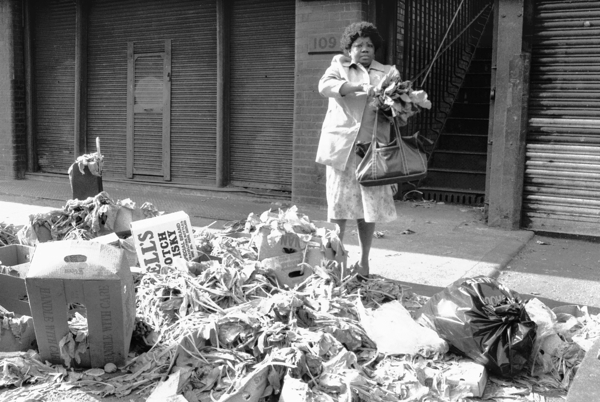 So, in 1991, when the nocturnal Fruit & Vegetable Market which flourished here for more than three centuries was to be moved out, Phil turned his attention to capturing the last days of this unique phenomenon. 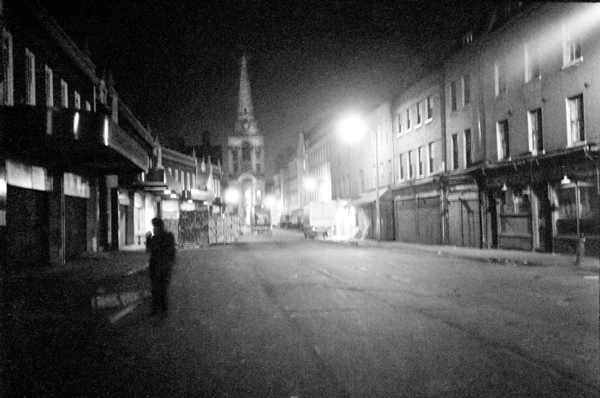 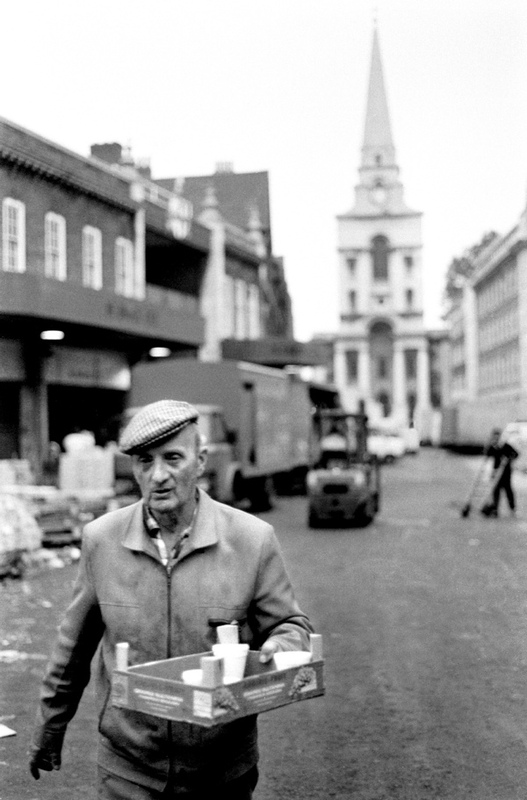 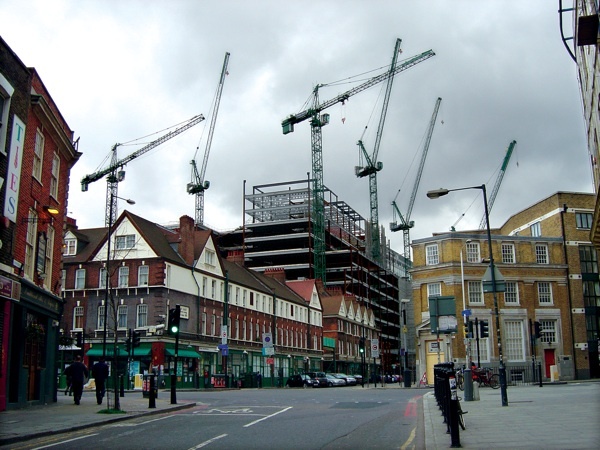 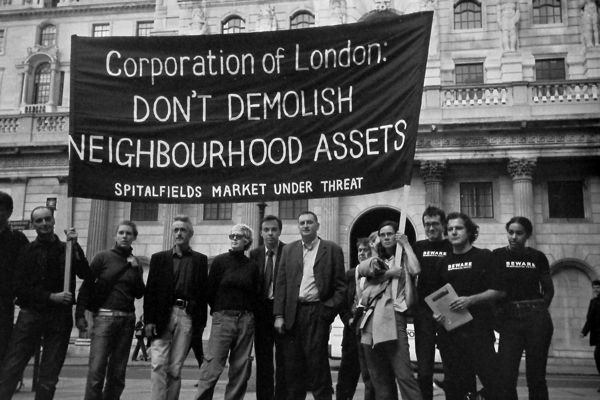 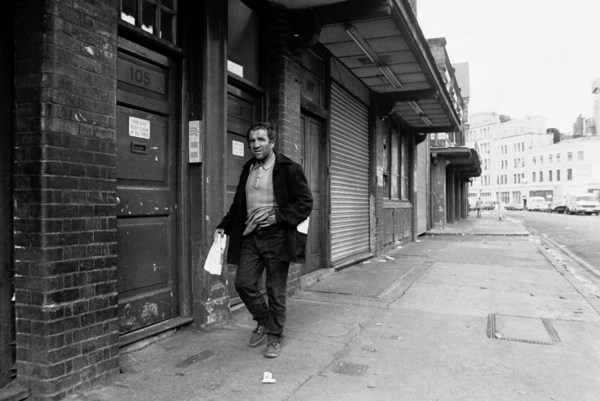 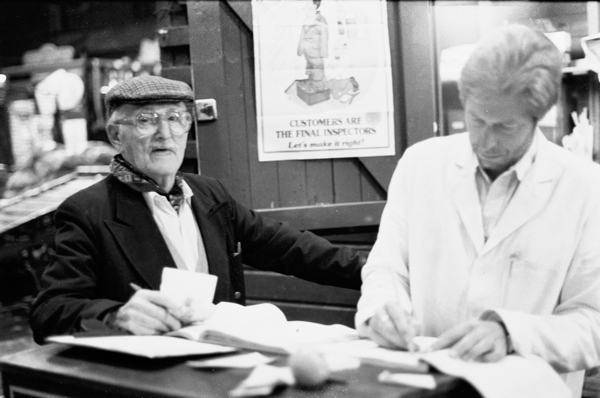 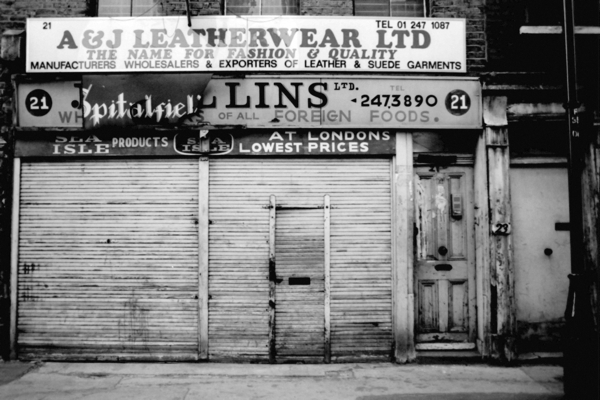 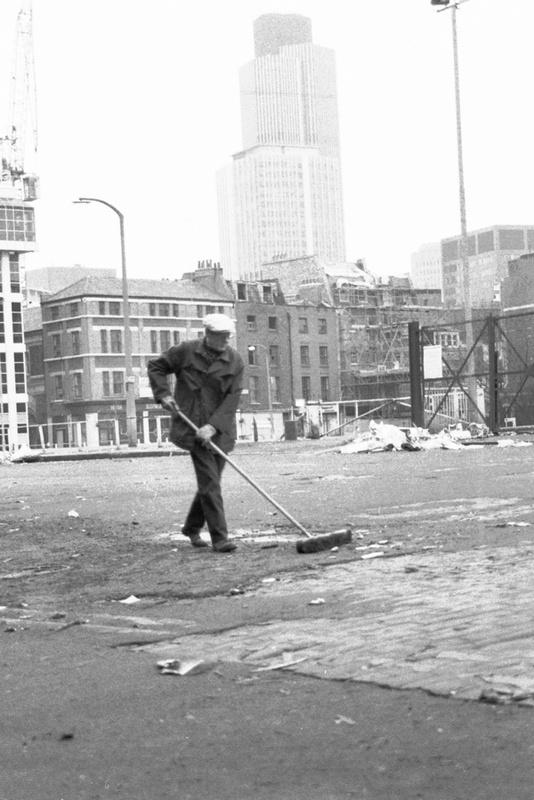 These pictures compose Phil’s personal elegy to the Market which – along with the Truman Brewery – once comprised the core of Spitalfields’ historic identity as London’s first industrial suburb. 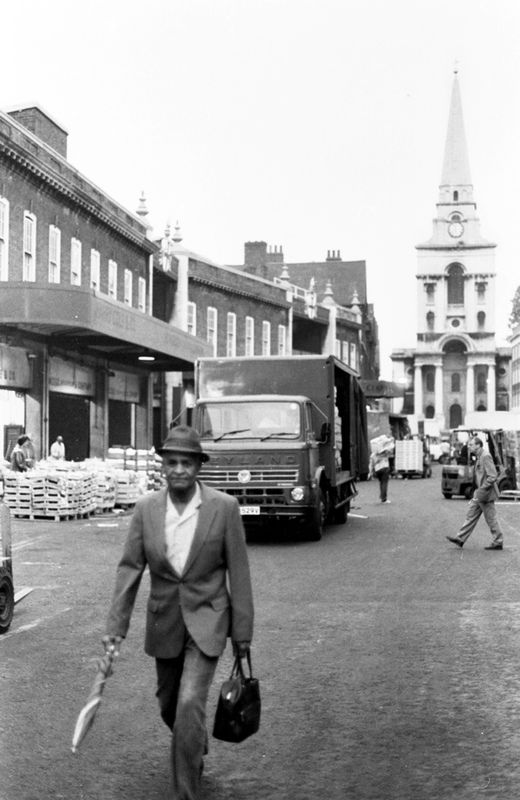 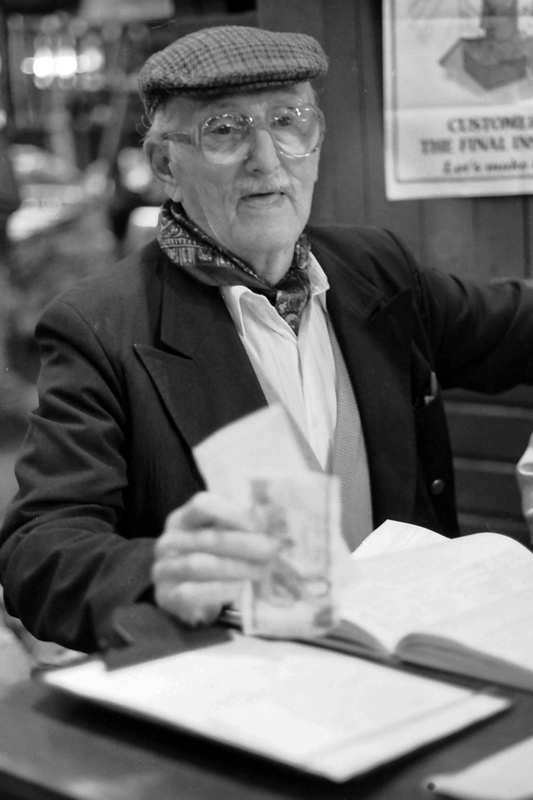 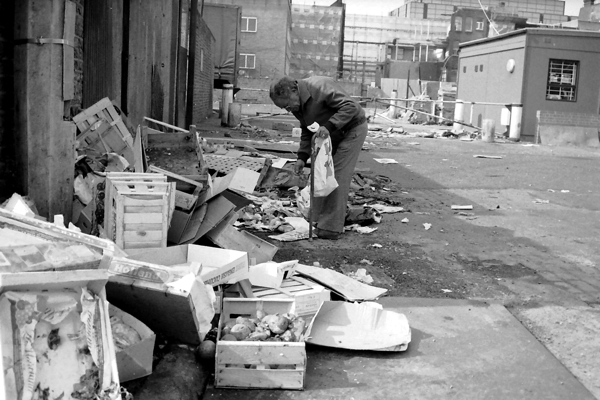 “It was a great place to wander around because there was so much life in it,” Phil recalled fondly, “The Market had its own ecosystem that surrounded it, including the homeless people who gravitated there, the ladies of the night who ran a cottage industry servicing the lorry drivers, the women from Hackney who came every day to scavenge discarded vegetables, and the twenty-four hour pub and cafe trade. 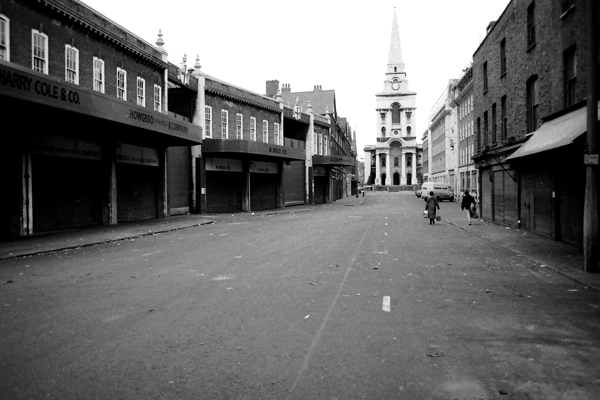 A lot of different people came through Spitalfields then. 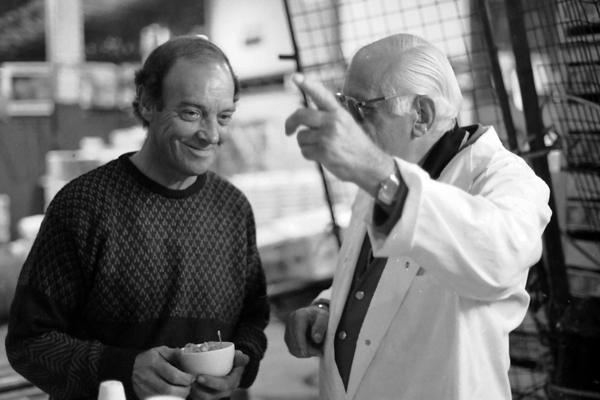 Thank you Phil and to the Gentle Author. 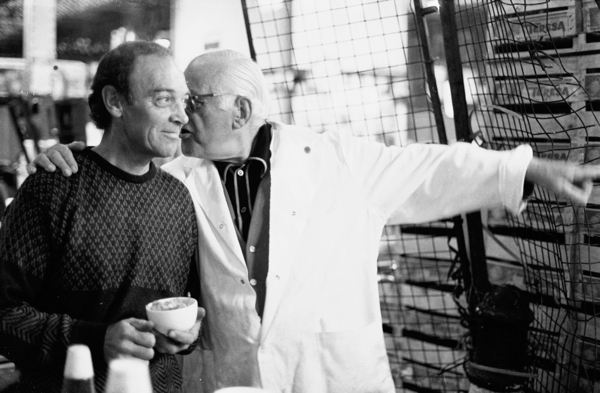 Happy Christmas…and thanks for everything.